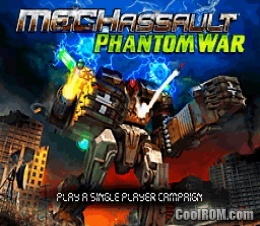 MechAssault Phantom War NDS apk android for DraStic free download working on mobile and pc,Nintendo DS EmulatorThe MechAssault series becomes portable with Majesco Games and Backbone’s MECHASSAULT: PHANTOM WAR for the Nintendo DS. The game continues many of the MechAssault traditions will adding in wireless multiplayer and touch screen support. 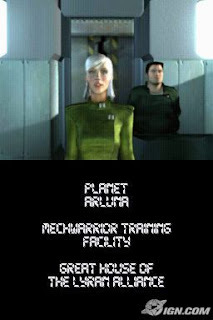 In this third person sci-fi shooter game, players join the MechWarriors, elite soldiers who train for years to pilot the BattleMechs, giant robotic suits of armor with powerful weapons. In the 32nd century, all wars are waged using BattleMechs, and players will get a taste of the many different kinds of robotic suits as they drive tanks, BattleArmor, mechs, and more. 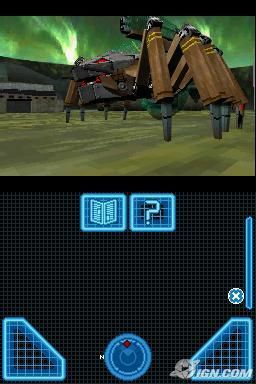 All in all, there are over 20 different types of vehicles and BattleMechs for gamers to experience. Each has its own upgradable weapons and abilities. Each also includes one of the seven different Def Mods, powerful defense systems that, when activated, makes the vehicle more powerful for a few moments. The single player campaign features 24 missions spread over four different planets and includes a storyline straight from the BattleTech universe. The game also includes three different multiplayer modes, which up to four players can compete in. The touch screen is also used. Players can hack into enemy territory, steal enemy vehicles, use powerful attacks, and customize the display with just a few touches. 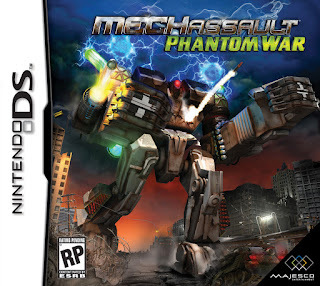 Gamers who love giant robots shouldn’t miss MECHASSAULT: PHANTOM WAR. The many different weapons, vehicles, and missions come together to create an amazing battle game that sci-fi shooter fans will love.Touch screen controls; up to four players can complete via wi-fi; unlockable extras, including more mechs, maps, and cheats.